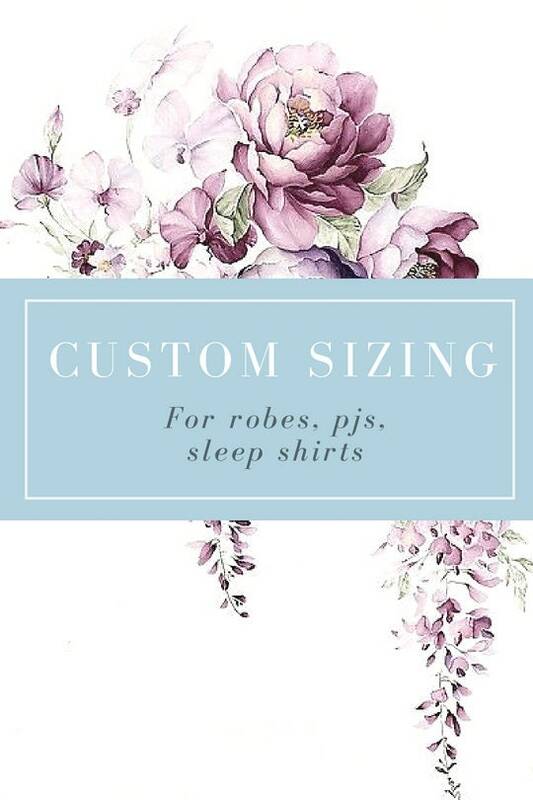 Add this to your cart to be able to customize a robe, pj, sleep shirt based off of your measurements! We require the following to be provided: Bust, Waist and Hips measurements. Length measurement from the top to the bottom of the garment if ordered a robe or a sleep shirt.